Jupiter, FL, USA — Light Space & Time Online Art Gallery is very pleased to announce Amadea Bailey has been awarded a month-long solo art exhibition on their site. Amadea and her amazing abstract art will be featured on the gallery’s front page and in the “Solo Art Series” section of their website. Amadea Bailey will also be promoted in press releases and throughout the gallery’s social media networks. In addition, her art will be highlighted on their YouTube channel and with an event postcard. At the conclusion of the solo art exhibition her artworks will continue to be available for viewing in the gallery’s archive. LST is extremely pleased to announce that the gallery’s latest featured artist is Graehound and she will now have mixed media abstract art featured in the Artist Showcase section of the gallery. Jupiter, FL, USA — Light Space & Time Online Art Gallery is extremely pleased to announce that the gallery’s latest featured artist is Graehound and she will now have mixed media abstract art featured in the Artist Showcase section of the gallery for the next 30 days. Graehound lives and creates her art in Illinois. Graehound works predominantly in mixed media with an illustrator’s affinity for detail, creating atmospheric pieces that promote nuanced discussion between such broad concepts as disability, self-identification, and the roles we are both ascribed and seek in various comprehensive life systems. Graehound has been included in national and international exhibitions and publications regarding her work in several different media, particularly drawing and beadwork. She holds a BFA in Studio Art from Northern Illinois University with an emphasis in Drawing and is currently enrolled in the Interdisciplinary Studio Art Master’s program at Goddard College. Her website is http://www.graehound.com. Light Space & Time Online Art Gallery announces its 6th Annual “Abstracts” online juried art competition for the month of May 2015. Jupiter, FL, USA (April 21, 2015) — Light Space & Time Online Art Gallery announces its 6th Annual “Abstracts” online juried art competition for the month of May 2015. The gallery urges all 2D and 3D artists (Including Photography) to submit their best abstract art. Light Space & Time Online Art Gallery encourages entries from artists regardless of where they reside and regardless of their experience or education in the art field to send the gallery their best interpretation of the theme “Abstracts”. 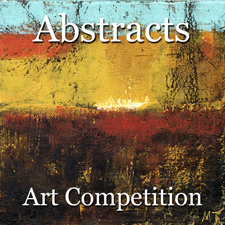 The “Abstract” theme will be the artist’s interpretation and depiction of nonobjective or nonrepresentational art for this art competition. A group exhibition of the top ten finalists will be held online at the Light Space & Time Online Art Gallery during the month of June 2015. In addition, Special Merit and Special Recognition categories as well. The submission process and the deadline will end on May 27, 2015. Winners of the “Abstracts” Art Exhibition will receive extensive worldwide publicity in the form of email marketing, 70+ press release announcements, 75+ event announcement posts, extensive social media marketing and distribution, in order to make the art world aware of the art exhibition and in particular, the artist’s accomplishments. In addition, artists shall also receive a digital Award Certificate, Event Postcard, Event Catalogue, Press Releases and “Leveraging Your Success” marketing materials if they place in this exhibition. Interested artists should provide to us with your best cityscape art now or before the deadline of May 27, 2015. Interested artists may apply online here: http://www.lightspacetime.com.